Home decor is not unlike fashion. There are classics (looks that will last), and fads that will fade. 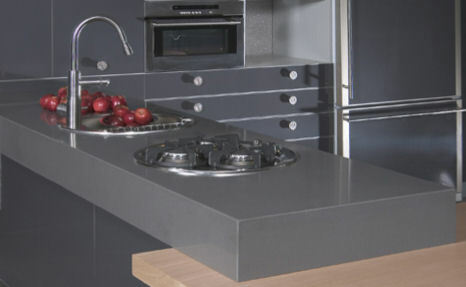 Here is some insight into what is trending for countertops in 2013. I found the information below from Yahoo-Home very helpful! Poured concrete counters offer a strength and style that is seemingly timeless in appearance. They offer a natural and organic look for a kitchen. 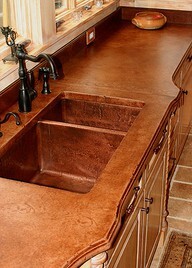 These counters need to be sealed well, perhaps more than once, to prevent staining. Poured concrete can be tinted to any color you wish. If sealed it is stain-resistant and can be cast and poured into any shape you desire. Its appearance improves with age, as opposed to other styles that may start to look weathered and dingy after just a few years. While concrete is heat-resistant, the sealer is not; hot pots and pans should not be placed directly on top of the concrete. Cutting boards should be used as well to prevent damaging the sealant. Concrete requires just a little bit of maintenance and is a very desirable option at a very desirable price. 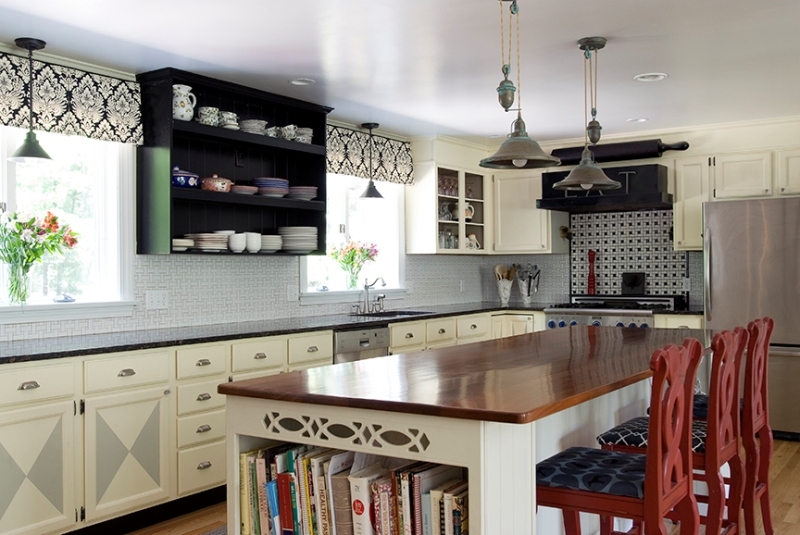 A butcher block countertop offers a look that is elegant, yet casual and environmentally friendly. Its soft surfaces means that some maintenance is required, but nothing that will take up any significant amount of time. Cutting should be left to cutting boards. 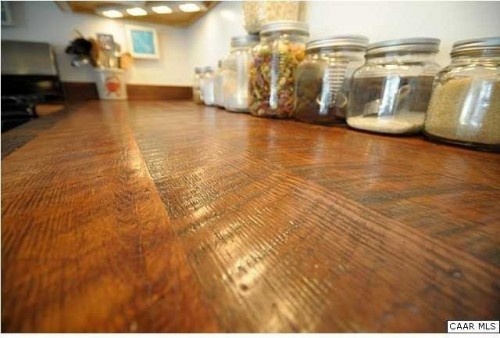 A nice butcher block surface should be sealed and oiled about once a month. Cleanup is easy, requiring simply mild dish detergent and a light cloth or sponge. The only potential negative is that the surface, if not well maintained, can dry or crack. Excess water should always be wiped off. There are many kinds of woods with varying thicknesses available. Butcher block, like the poured concrete, is another well-priced option. Reclaimed wood is all the buzz lately. What is reclaimed wood? It’s simply wood that has been salvaged from older homes and barns that are about to be or have been slated for demolition. Reclaimed wood is a smart and attractive option, offering a look and a feel that the newer butcher blocks can’t match. Reclaimed wood that was used from older trees is much sturdier than the newer counterparts made from younger trees. When purchasing reclaimed wood for your kitchen you are doing wonders for the environment by reusing old materials. If you are concerned about the environment, want a “greener” feel to your kitchen and love the casual elegance that wood has to offer, you should see how you can obtain reclaimed wood products near you. It’s not just for wine anymore! Cork is a material that is growing in popularity in our kitchens. It is dense, sturdy and lightweight. It is a sustainable product (another good choice for those of you who want environmentally friendly alternatives) that has sound-cutting properties that may appeal to parents of noisy children worldwide! The material is resistant to water and heat and has antibacterial properties. Cork can be a very versatile and sensible option. Stainless steel has an elegant and classy feel that is also modern. These counter tops are resilient to water, heat and germs. Over time they are susceptible to dings and scratches, and these surfaces show every little finger mark. Other than a regular wash and polish to clean up these stray prints, stainless steel requires very little maintenance. 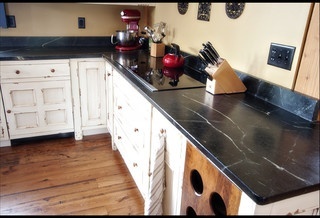 Soapstone is a natural stone that is quarried like granite. 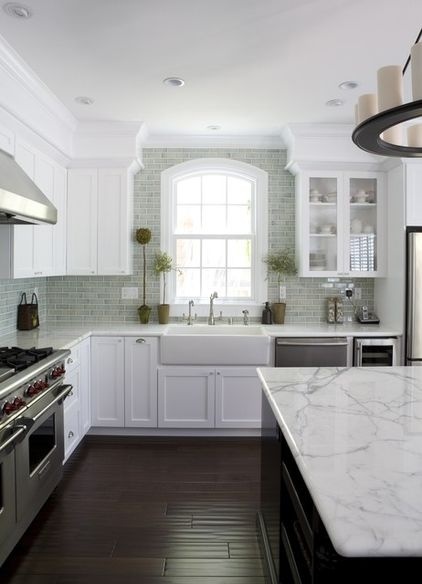 It’s a softer surface composed mainly from mineral talc, but the varieties used for kitchen counter tops are generally sturdier as they contain more quartz. This quality makes it a great option for a kitchen surface. Soapstone offers a smooth, matte feel and it has a naturally gray color that darkens with age. Like stainless steel, this material is not impervious to dents and scratches. But, any scratches can just be sanded or oiled away. 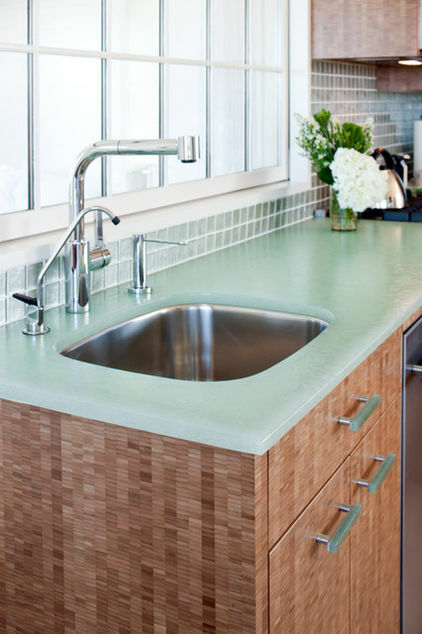 With kitchen and design trends leaning toward more environmentally friendly choices, as noted above with the use of the reclaimed wood and cork, another option to consider is the recycled glass countertop. They are not only beautiful with many colors and options available, but they have a life expectancy of 50 years. They are easy to care for and to clean but may require re-sealing every few years. While recycled glass does cost less than granite, it is probably not for the budget-conscious. Pewter is an alloy of several metals. It is fairly soft and not as sturdy as stainless. It will show nicks and dents, so one must take some care when working on this surface. It has a beautiful, gentler look compared with its more clinical stainless counterpart. Pewter’s dark silvery color is muted and is not brash like chrome. Because it is a softer material, it is easily shaped and stamped. 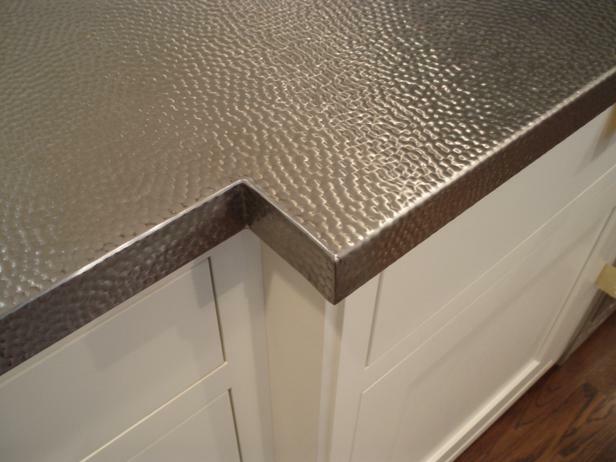 A hammered antique look would mask some of the dents and dings that naturally occur on any type of kitchen surfaces. 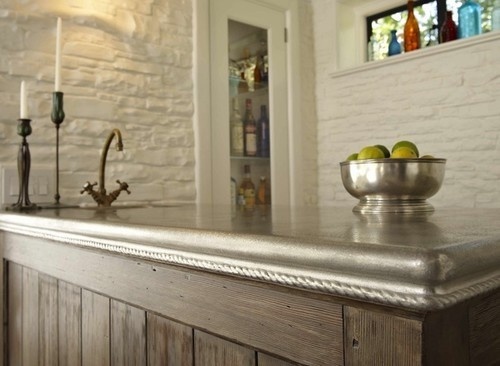 While pewter has a more traditional look, it can still appear right at home in a more modern or eclectic setting. One tends to think of rooftops or walkways when one thinks of slate. A natural, fine-grained rock, slate is softer than granite but harder than marble. Slate has a naturally uneven surface that many find aesthetically appealing, and these naturally occurring dents make it hard to detect nicks and scratches that inevitably happen on well-used kitchen surfaces. Slate also has a dull matte finish and would not be the material of choice for those who prefer more of a high-gloss look. Maintenance is easy – a simple wash with soap and water. Slate is not a material conducive to bacteria build-up. To prevent staining and uneven coloring or discoloration, it is best to use trivets under hot pots and pans and coasters under glasses and other items containing liquid. Quartz is a plentiful, naturally occurring mineral. It is one of the most scratch-resistant minerals available, and because of this it is extremely easy to care for and clean. Wiping stains from its surface is even easier than with granite, which makes it a very desirable choice for your kitchen countertop. Quartz does not need to be sealed, has a long lifetime and is available in a wide variety of colors. For those wanting a natural, mineral countertop in their kitchen, but who also want to stay away from granite for a slightly more unique look, quartz could be the answer! So now you know more about some of these popular materials, is there one that you like best? There are numerous options available for your countertop; the fun is in finding the one that fits your look and lifestyle best. Let me know if you have any questions, thoughts or comments. If you like this post let us know by liking it! If you are not already following our blog, please do so by adding your name to the follow box! 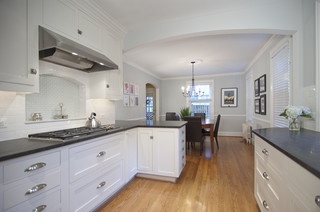 I LOVE the PEWTER countertops! Wow are they pretty! I understand that sections of steel or pewter are great if you use a fragile marble so that you have a place to put wine, olive oil, and other items that will leave rings on marble.